The past few weekends have been pretty busy with commitments and to-do lists, so this was the first weekend I could indulge in one of my favorite hobbies-trying new recipes. Saturday, this meant baking. Both recipes are from Smitten Kitchen: S'mores Pie and Chocolate Hazelnut Biscotti. 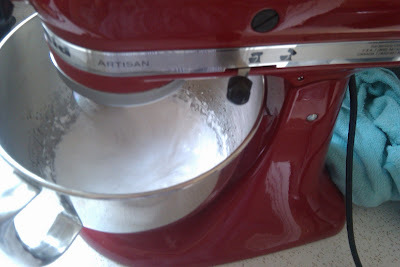 Besides hazelnuts being pretty unavailable at each store I went to, this recipe was ridiculously easy. Sliced, before heading back into the oven for the second baking. Another pretty simple recipe, with the downsides being the time standing with the three steps. I opted to make everything, though you could easily make shortcuts and buy a graham cracker crust or buy Marshmallow Fluff in lieu of making your own. The marshmallow making portion was the most difficult. In the recipe, it says the approximate time for whipping the gelatin and corn syrup is 5 minutes. I'm pretty sure Big Red just paid for himself being on for about 25 minutes. I can't say the mixture tripled in size either. While it was mixing at high speed, I put some mini marshmallows I had on hand atop the pie, and then spread my own marshmallow mixture above them. With cooling, baking, and chilling time, this recipe took close to 3 hours-and I took shortcuts. I did not let the pie cool coming out of the oven before putting the marshmallows on (another lesson in reading directions thoroughly-though it was a happy coincidence since I put the mini marshmallows on top of that layer, so they melted a bit.) The pie is supposed to chill for 3 hours after adding the topping and we went to a movie for 2. Who can really wait that long anyhow. After it comes out, the final step is broiling the pie so the top browns-truly making it a S'more Pie. Slice of the pie. Scott even enjoyed. He likes pie, but does not like s'mores. It was a dicey decision to attempt this pie for this household. 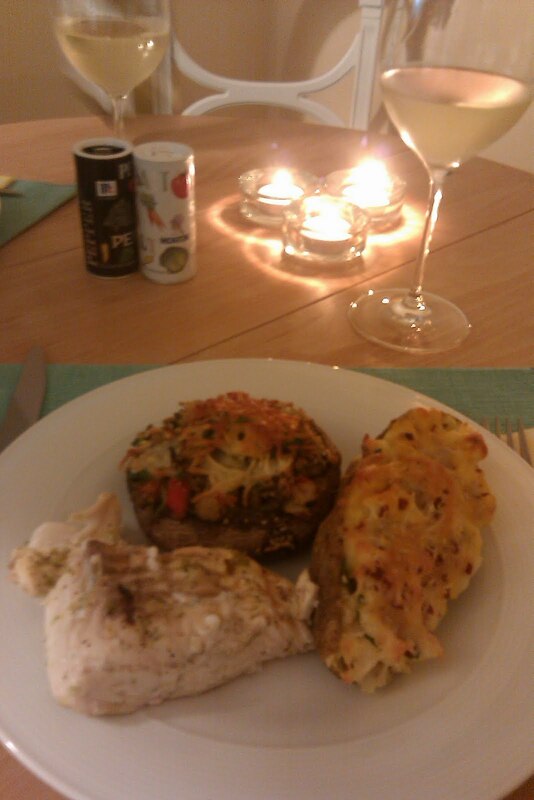 Capping off my day of baking, we feasted on lime halibut with mango salsa (not pictured-sometimes you forget about your early prep still in the fridge), twice baked potatoes, and stuffed mushrooms. After seeing Bridesmaids (I'll give it a B), we came home to enjoy the remaining wine and of course, the s'more pie, in the backyard over a roaring fire naturally, and a little poetry courtesy of Walt Whitman. It was a great Saturday. 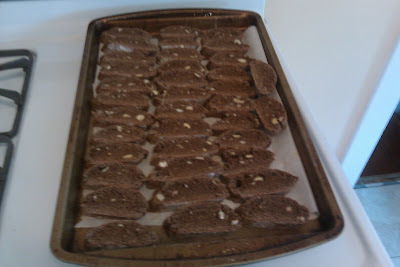 the biscotti were pretty tasty. great job & thanks for sharing!